jennifer ressmann pictures enjoying the coast! When I'm painting in the studio I love to listen to radio shows, some podcasts and fun music. And especially, my all time favorite - Prairie Home Companion with Garrison Keillor. I love the funny little skits they put on and the variety of guests and music is really entertaining! Sadly, Garrison has retired this year, but the website has all the past episodes - it's fantastic and easy to binge listen whenever you want! 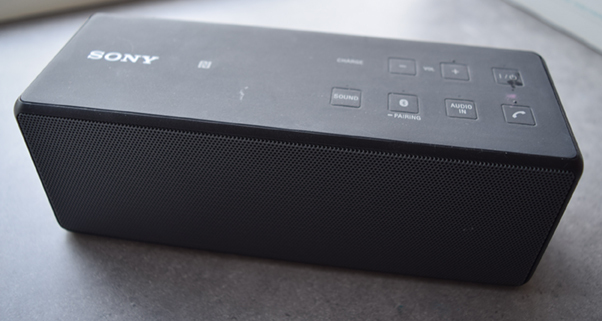 I usually run my entertainment from my phone or tablet and my husband gave me this great Sony Speaker!! It's rechargeable and I can move it around to whatever location I'm in. It connects easily with Bluetooth and is simple to operate. We got it at - yes, you know where! - Costco. 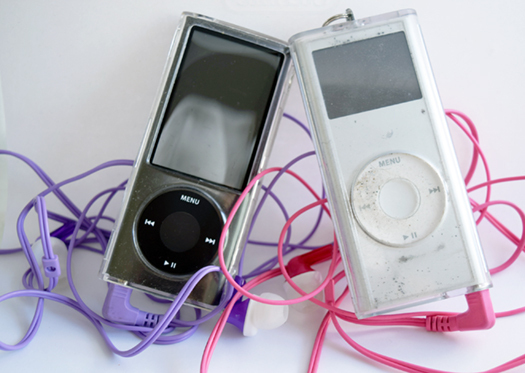 My Old School IPod Nano's - 5th Generation! When I want to listen to a collection of podcasts that I have stored up, I listen to them straight from my old school iPod Nano and I'm thinking of hooking them through our stereo - my iPod's don't have Bluetooth hook ups (heavens!). There are endless numbers of great podcasts to listen too. If you don't already - I recommend going to a podcast library and looking around. I use iTunes. I don't listen to much music actually. When I do however, it's upbeat and fun for sure. Dance, Modern Pop, Jazz and yes, Country! Whoo hoo! While the tropics are full of beautiful bold colored flowers. There are many delightful tropical plants! The Hosta is such a lush full plant that can reach 6 feet wide and 4 feet high! And, there are more than 40 different varieties. Sometimes it's overlooked as just a filler plant - but it's colorful and vibrant, too! This Original Oil Painting is 6 inches x 6 inches on Archival Hardboard. It's unframed now but is easy to put in your favorite frame. Or pop over to your local frame shop so they can do it for you! Painted In the USA! 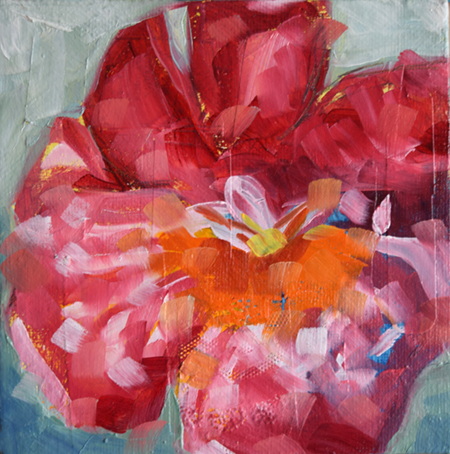 Add this Flower Painting To Your Collection! One of my favorite tropical plants is the Strawberry Fire Tail. While it can be hardy in cooler locations - it loves the warm sun of the tropics. It's known as many names: Trailing Chenille Plant is also known as: Strawberry Firetails , Red-Hot Cat's Tail, Kitten's Tail, Strawberry Firetails, and Dwarf Chenille Plant. It's a cool, colorful plant and so unusual - I mean a fuzzy flower!!? Jennifer Ressmann Landscape Paintings - Custom Paintings Available! There are many times when you're looking for just the right piece for your home. The piece of art to capture just the right feel for you. That's when a Custom Piece works best! I can take your images of the perfect place you have in mind and turn it into an exciting work of art that you will cherish for a lifetime. Whether it's a landscape from your recent vacation or delightful floral from your own backyard - I can make it a vibrant oil painting for you to enjoy! Touch base with me and we can chat about your painting interests! Check out the Custom Painting Page for more info. Here's where it all goes down. Where it all comes together. 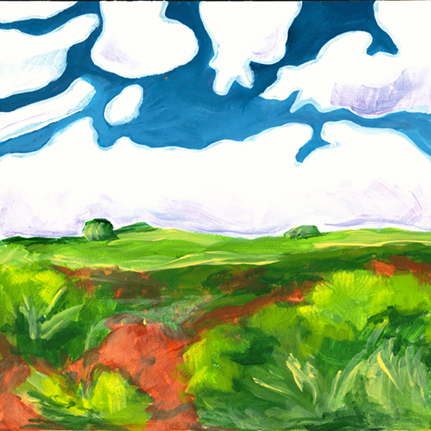 Where the land and the sky meet paint and brush! My Studio Space! I have my ideal space. I have dreamed of having this size studio and set up since I was a wee one in Art School. It has a great size foot print with lots of work space. It has oodles of cabinets and tons of drawers. Ooo wee!! The cabinetry was an exchange with a collector of my work. It was a generous gift and I am so tickled every time I slide open the nice drawers to browse through my painting supplies or to easily grab a pen conveniently next to.... everywhere! The beginning images are the remodel and install of the cabinets. Below are some photos of my last studio space at our old house. (A couple kind of messy when I was moving in.) Also a good size layout and I spent many great years working in here - but the hodge podge started to get to me. I always found it hard to focus - because there was so much in my face. I mean look at all that awesome mess - So many great things to putz with! I really love the new space with cabinets and keeping it all behind doors. Clean and tidy... most of the time. My Studio is also in my home, so the neater the better. Jennifer Ressmann Landscape Paintings - Contest Entry Troubles? 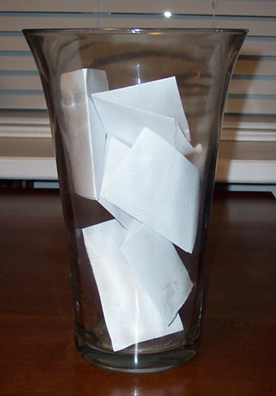 Is the Contest Entry Form giving you troubles through your email? Fear not! Just swing by the blog page and enter quickly from there! Scroll to the bottom of the page for the entry form. 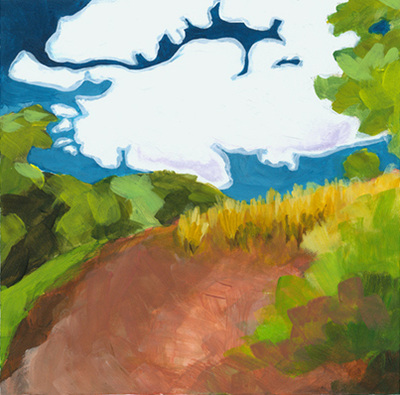 Jennifer Ressmann Landscape Paintings - August Give Away! DRAWING CLOSED Can you believe Summer is almost at an end?! It's truly too short! But... Let's celebrate the fun we did have with a giveaway! Sign up below for a fun drawing - I will do it at the end of the month! And, you could be the lucky winner of this adorable wall hanging! I found the wood panel, lightly stained it white on the front and hung it with some found metal wire and bells. 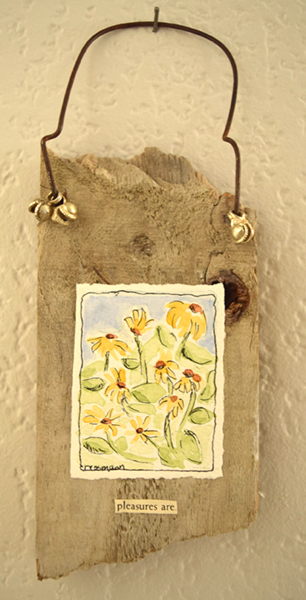 Then I did a nice water color of some Black Eyed Susan's from my yard - and Voilà! A sweet little wall hanging! 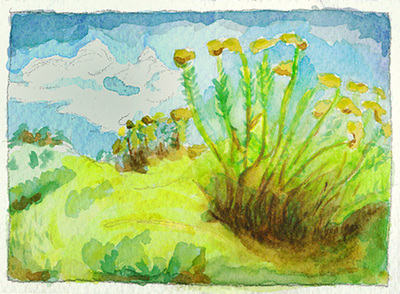 Entering the drawing will also sign you up for my Painting Review Newsletter! It's a fun little addition to your month - see what goes on behind the scenes, updates on new paintings and sometimes - fun giveaways! 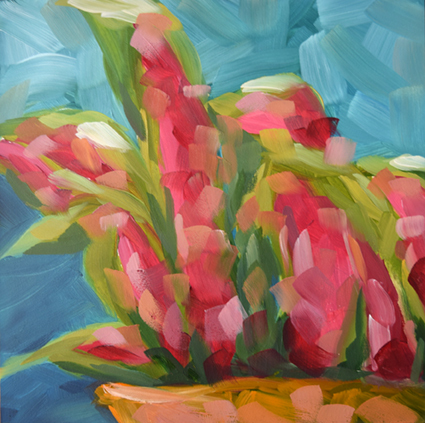 Add this Floral Painting To Your Collection! Everybody loves Pretty and Colorful Hibiscus! And, the red ones are at the top of my favorites. Hope you'll enjoy it too! 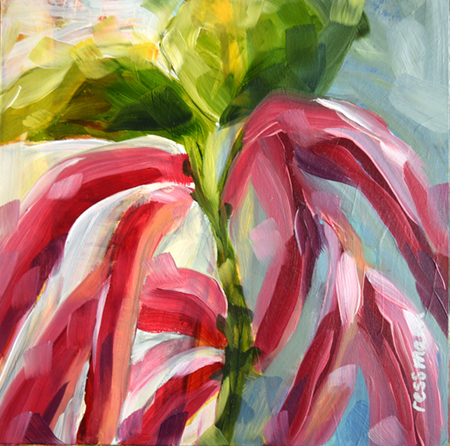 This Original Oil Painting is 6 inches x 6 inches on Canvas. It's unframed now but is easy to put in your favorite frame. Or pop over to your local frame shop so they can do it for you! It's also finished on the edges and can be displayed the way it is! Painted in the USA! Colorado & Coastal Landscape Painter, Jennifer Ressmann is an Impressionist Landscape Painter splitting her time living in beautiful Golden, Colorado and the Lovely coast of Florida. Read more about Jennifer's Story - see some fun personal pictures! Follow her on Facebook, Pinterest & ﻿Instagram﻿! 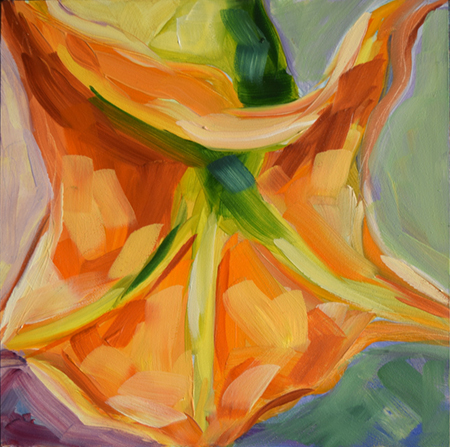 Subscribe to her blog to see new lively new oil paintings! 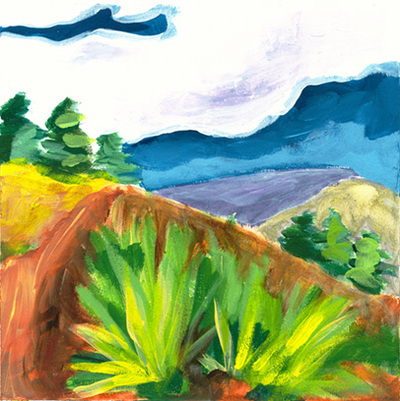 View her lively Colorado & Coastal Landscape Paintings. If you've enjoyed this - please pass this Painting Review Email to your Friends and Family that like Art and this Beautiful Land in America! Contact Me at the Studio for more information on commission work or other lively painting pieces you might be interested in! Enhance Your Home with This Painting! The tropics are full of beautiful bold colored flowers. The Brugmansia or Angel's Trumpet bright orange tone is one of those flowers. It's unusual display is big and fragrant! 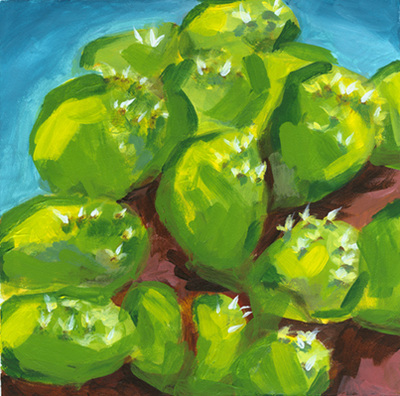 This Original Oil Painting is 6 inches x 6 inches on Archival Hardboard. It's unframed now but is easy to put in your favorite frame. Or pop over to your local frame shop so they can do it for you! Painted for you in the USA! 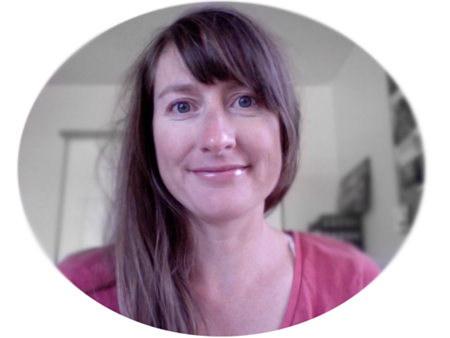 Colorado & Coastal Landscape Painter, Jennifer Ressmann is an Impressionist Landscape & Floral Painter splitting her time living in beautiful Golden, Colorado and on the Lovely Coast of Southern Florida. Read more about Jennifer's Story. Follow her on Facebook, Pinterest and Instagram! 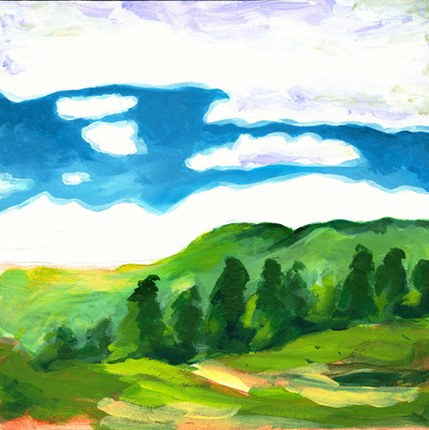 If you've enjoyed this painting review - please pass this Painting Review Email to your Friends and Family that like Art and this Beautiful Land in America! 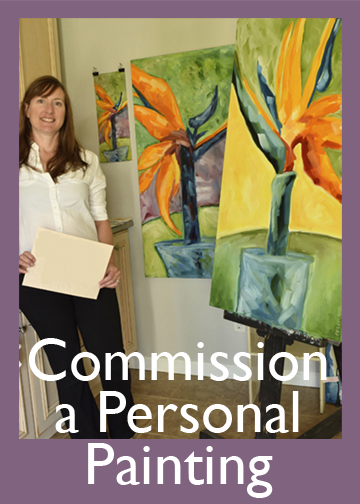 Contact Me at the Studio for more information on commission work or other painting pieces you might be interested in! I love this tropical plant! It's bright and colorful and you see it everywhere in Florida. In the north you always see it for sale as a houseplant but, it's a hardy tropical plant - Cordyline loves lots of warm sun and outside can grow up to 10 feet tall! What do you think? This Original Oil Painting is 6 inches x 6 inches on Archival Hardboard. It's unframed now but is easy to put in your favorite frame. Or pop over to your local frame shop so they can do it for you! Painted in the USA. Sign Up for My Painting Review! 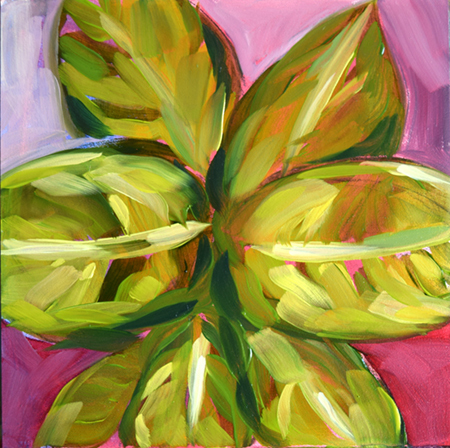 Follow jennifer ressmann's board Jennifer Ressmann Paintings on Pinterest.